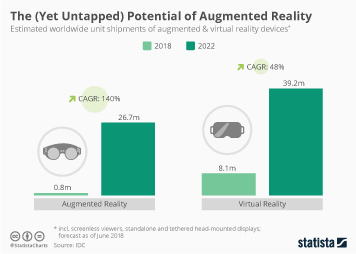 While many consider virtual and augmented reality the next big thing, there still appears to be a degree of uncertainty about what both technologies can and will actually be used for. 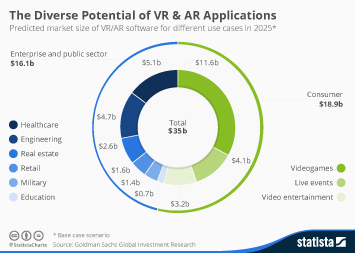 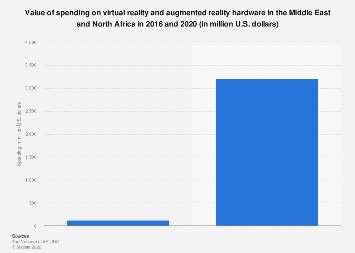 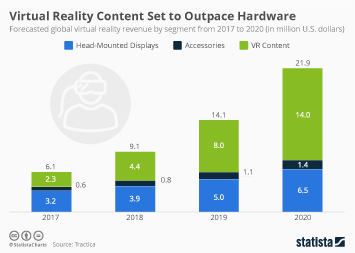 According to Goldman Sachs, who predict the industry reaching a value of $80 billion a year ($35 billion software and $45 billion hardware) by 2025, the potential of AR/VR tech is extremely diverse. 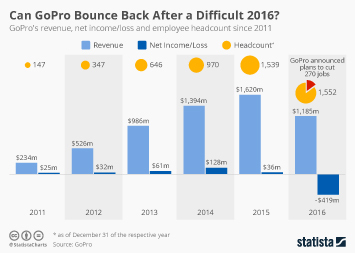 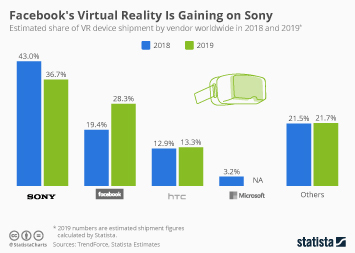 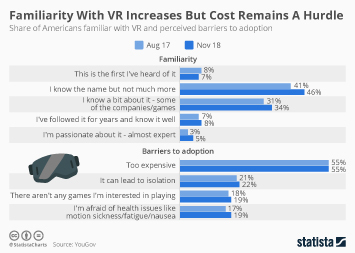 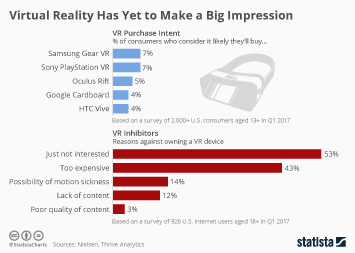 As many others do, Goldman Sachs’ researchers see video gaming as the industry’s most promising use case with live events and video entertainment being the other major consumer-focused applications of VR/AR technology. 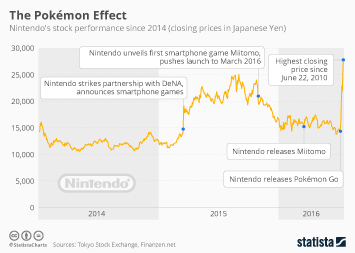 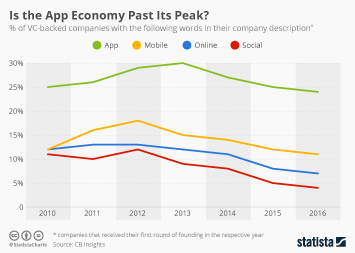 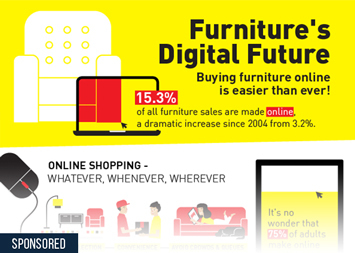 The potential of the new technologies extends way beyond the consumer space though. 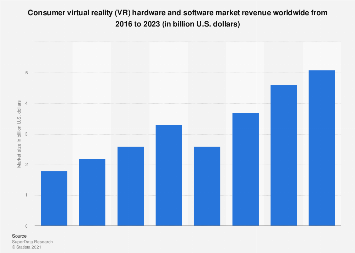 According to Goldman Sachs’ estimates, almost half the industry’s revenue will be generated in the enterprise and public sector with healthcare and engineering being the most promising areas of use. 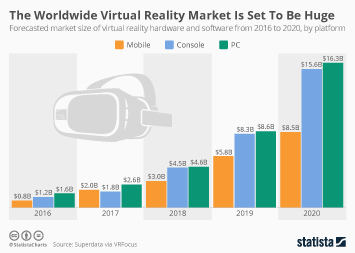 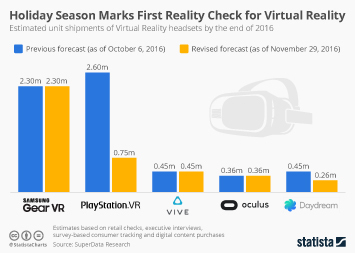 This chart shows the predicted market size of VR/AR software for different use cases in 2025.